One of the first items I decided to get for the Jeep was a set of Husky Liners. 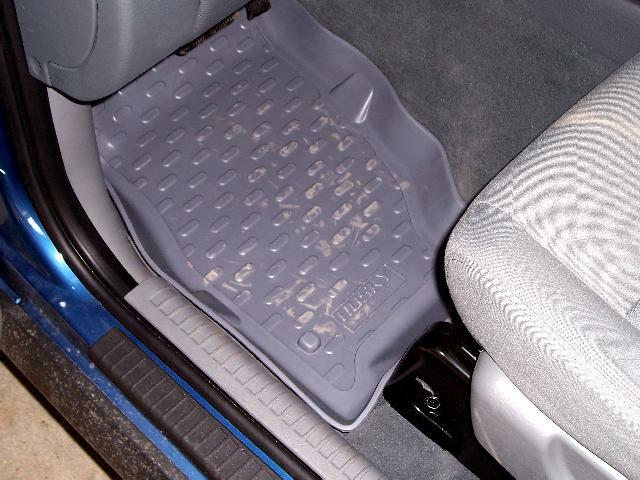 I've noticed the Jeep carpet seems to get filthy in no time. My Superduty had vinyl flooring so this is the first carpeted vehicle I've had in a while. 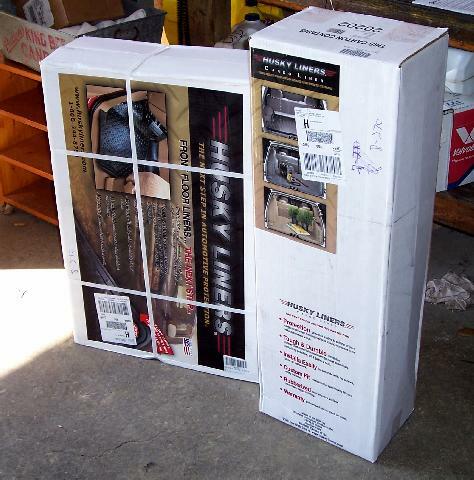 I ordered a complete set of Husky Liners from Summit Racing. 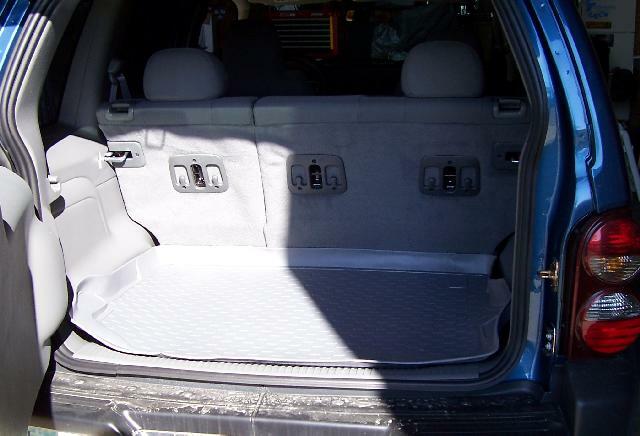 Here is the cargo area liner. It was curled in the box. I should have let it set in the sun for awhile to uncurl. 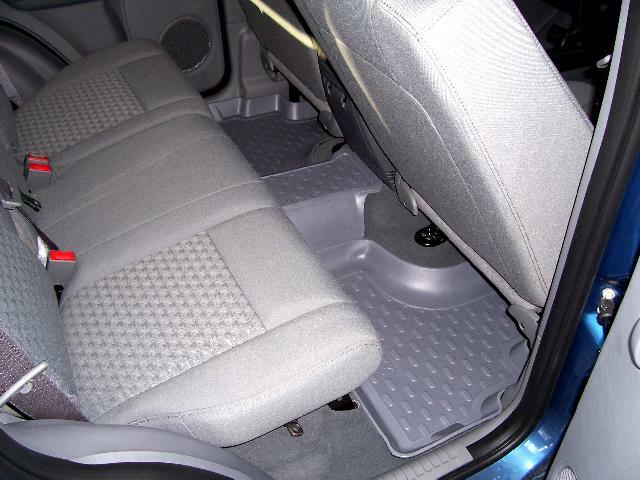 The backseat section is two pieces. The front seat mats fit perfectly (as did the rest of them). They even had an indention for the factory floormat hook. I had some Husky Liners in my 1992 GMC and they weren't as nice as these. These are more flexible and rubbery and fit perfectly. They have little spikes on the back and they don't move. The ones in my GMC would slide around.